GreenEcoSavers, LLC is an Authorized AEE Solar Dealer. AEE Solar, one of the renewable energy industry's oldest, largest and fastest-growing wholesale distributors. Through our distributor partners and other suppliers, GreenEcoSavers, LLC offers a full line of renewable energy products including solar photovoltaic (PV), solar thermal and wind power products from Evergreen Solar, REC, SolarWorld, Unirac, OutBack Power Systems, Mitsubishi Electric, PV Powered, Xantrex, Southwest Windpower, SMA America/Sunny Boy, Fronius International, Enphase Energy, SatCon, MidNite Solar, Kyocera Solar, Uni-Solar, Wattsun, Fat Spaniel Technologies and many more. The prices shown in these catalogs are suggested retail prices. Prices change constantly so these suggested retail prices are best seen as guidelines. 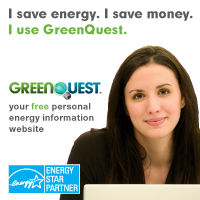 Please contact us for a custom price quote at: quote@greenecosavers.com for any products in these catalogs. We will respond to your request for pricing within 1 to 5 business days and provide a detailed price estimate with shipping costs and taxes if applicable.